Autumn sea fishing in Dorset was pretty mixed this past weekend. The beach produced pretty much what I thought it would. A few codling, some Bream, a good few Smoothound and Gurnard and loads of Mackerel and Garfish. Nothing to get too excited about, but the tides were very small, so expectations were not too high. 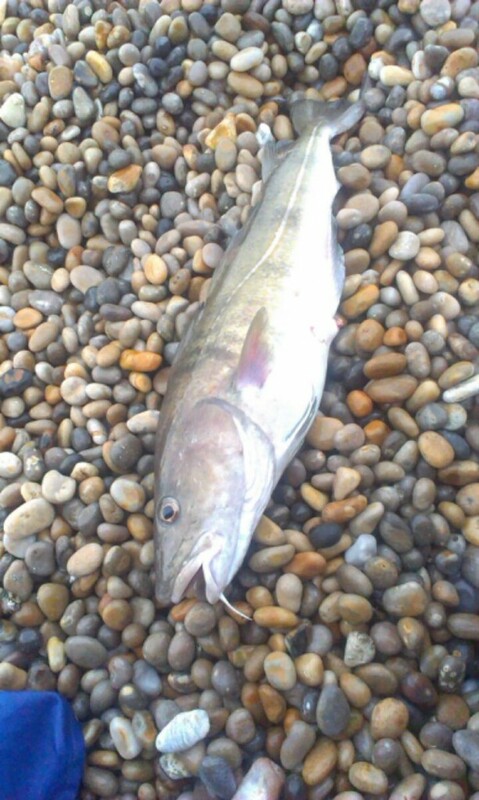 My mate Paul managed to catch a few more Codling again. The one pictured below was just under 6lb and fell to live Peeler. I was hoping that Preston would fish well, so I armed myself with a dozen Peelers and headed down to the groyne opposite the Sea Life Centre. The only problem was the lovely surf that was there in the morning had disappeared by the time I arrived. The forecast stiff easterly wind had dropped to nothing more than a gentle breeze, and with that the surf had become wavelets. Still that didn’t stop me catching a few schooly Bass and a couple of flounder. Some of you may recall that back in February, I featured a question from Phil Robson. He was trying to get his 100th UK caught species. He asked some advice on where to get a least one of a number of species that had yet to catch. Almost all of them found around the shores of Dorset. 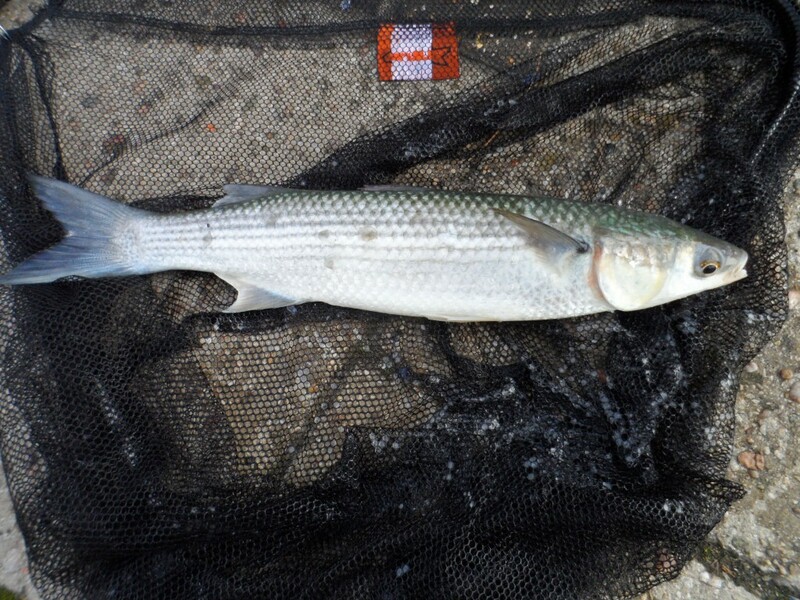 I received an email from Phil yesterday with a picture of a Thin Lipped Mullet that he had caught on a baited Mullet spoon from Weymouth Harbour. This lovely Mullet brought his total of UK caught fish species up to an amazing 100. That is an incredible achievement, well done Phil. I know a lot of you are getting excited about the Codling showing. Personally I am far more excited about the though that we are now moving into prime time for lure fishing for Bass. Over the next couple of weeks I will be concentrating on some of my favourite shore marks in search of these great sporting fish. Chesil Beach forecast: With the beach being calm and the tides starting to pick up again, conditions are almost perfect for Bream, Plaice, Gurnard, Garfish and Mackerel. 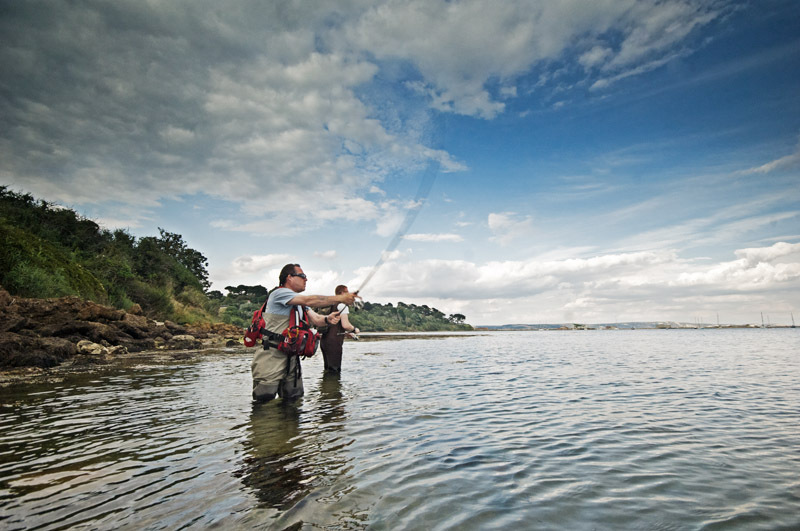 This is the time of year when most other areas in the country have seen the Bream leave their waters. On Chesil it is the best time of year for them, and they always seem to be much bigger. The best of the Bream fishing is always around structure. It may be a reef or a bit of wreckage, of which there are many such spots along Chesil. As a rule the area from Ferrybridge to Chesil Cove always seems to be more productive than most other marks. I know I said this last week, but conditions really are good for Sole. Night sessions are producing some great catches from Cogden. The best bait for Sole has to be lugworm. Portland: Another mark that produces Sole on an evening tide is Church Ope Cove. I spoke to a couple that were on holiday on Portland and they had done a couple of day time sessions down the Cove. They had managed to catch a Small Blonde Ray, Garfish, Plaice, Flounder and a few large Ballan Wrasse. Portland Harbour: As usual Bass and Flounder will be the main targets in the harbour, but until the tides improve towards the end of the week, I would give the harbour a miss. Weymouth Bay: Some nice Gurnard and Flounder have been caught along Preston Beach, with Mullet showing towards the Bowleaze end of the beach. The piers as normal are producing lots of different species. An ideal mark for easy fishing. I have not heard of any Squid being caught yet, but the number of Squid Jigs that the local tackle shops are selling tells me they cant be far away.